It is broken down by tabs : Annuals, Vegetables, Bulbs, Herbs, Perennials, Water Gardens, Shrubs, and House Plants. There are notebook pages for notes and there are clear protective sleeves so I can put seed packets, plant information sticks and pages I’ve downloaded from the internet with plant facts that I have collected. 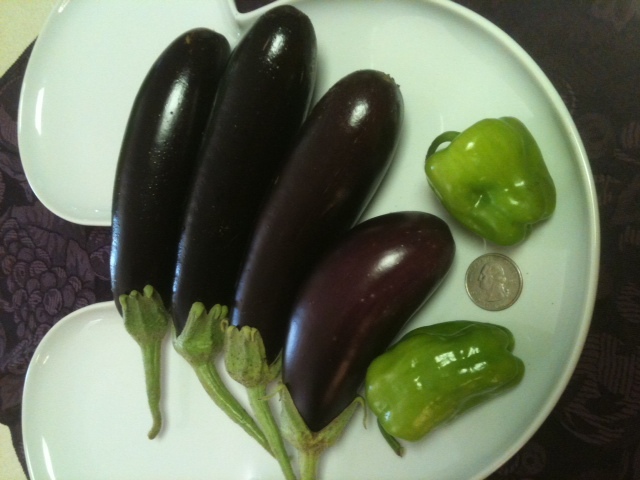 Two new varieties I tried this year were eggplant “Orlando Hybrid” and Pepper “Cajun Belle ” both from Park Seed. As shown in the photo with the quarter for scale they are both mini varieties. While interesting I think I will skip these next year. Some varieties that were fantastic were from Burpee : Summer Squash “Golden Rush Hybrid”and “Hybrid Zucchini”, both amazing producers, great flavor and vigorous plants. Also from Burpee, both tomatoes ” Sweetheart of the Patio” incredibly sweet, delicious and prolific and ” Bush Early Girl Hybrid” also a great producer . 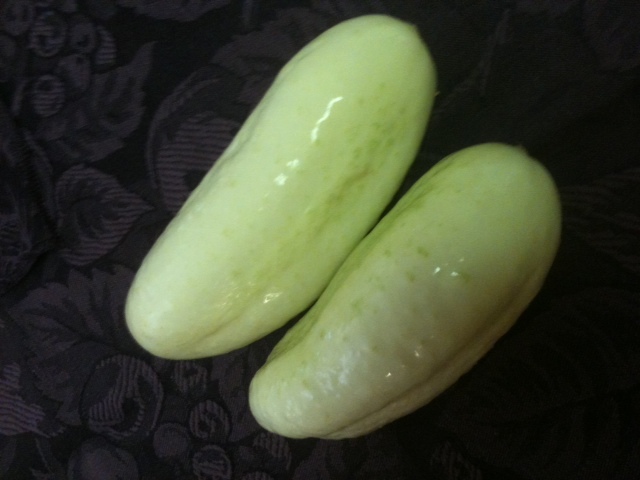 One surprisingly successful plant was the ” White Wonder” Cucumber which was free from Burpee as a bonus to my order. They were a bit prickly but very good flavor and a super producer.